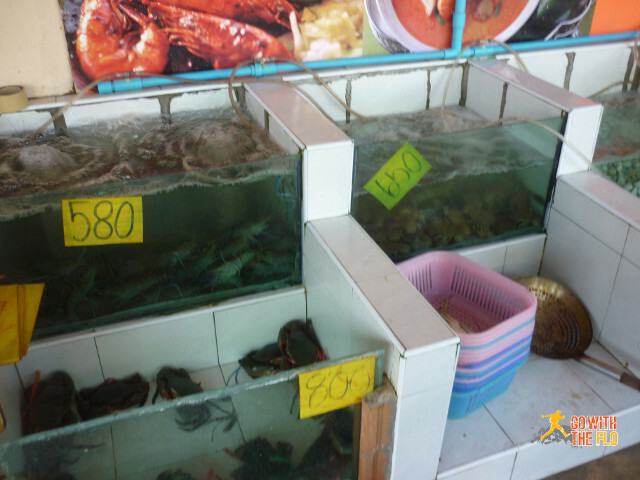 One of the highlights of my trip to Mae Ram Phueng (หาดแม่รำพึง), Rayong was the abundance of fresh and cheap seafood. 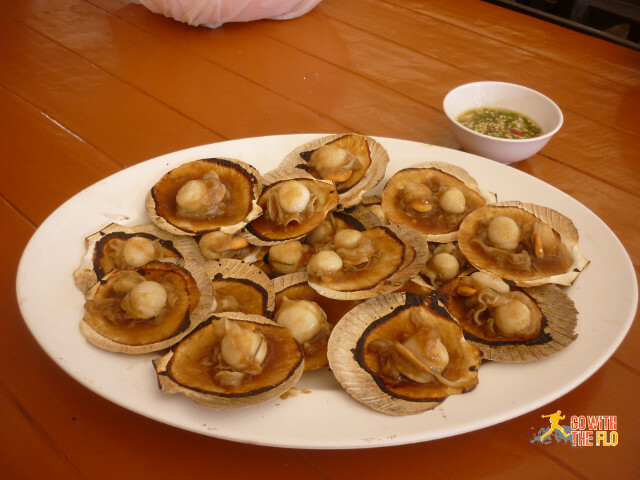 Some stretches of the beach are lined up with several restaurants cooking up all kinds of seafood of the pick and choose variety. You have a look at the tanks, point at what you want and a few minutes later it is on your plate. 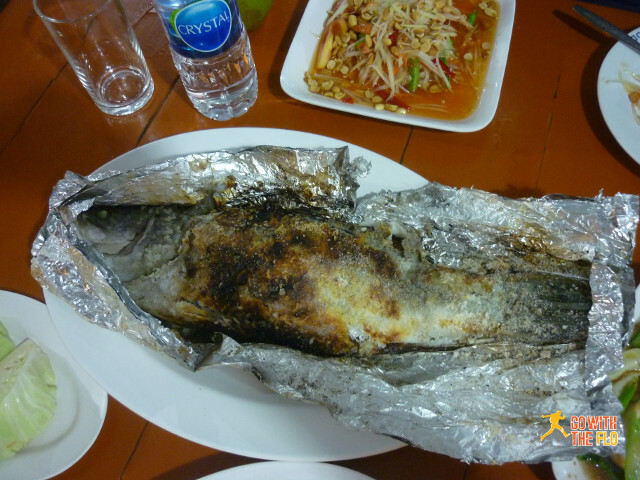 Since the area doesn’t cater much for non-Thai holidaymakers, most restaurants don’t have an English menu. Luckily most have pictures in their menus or better, you just point. Seafood for lunch and dinner is what you’ll eat there. 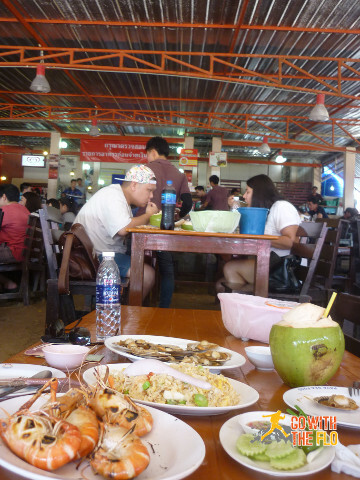 Very reasonably priced at 500-700 THB for a big meal for two. During my stay I checked out two places: Paya (click here for some great photos on another blog) and Jaepornpaktai. The former is a bit more of a proper restaurant while the latter is closer to a makeshift kitchen on the beach. They are within five minutes walking distance of each other. I didn’t really check out any reviews before going and just picked the places with the most people in and was very happy with both choices. Anybody know what this is? Tasted very good. 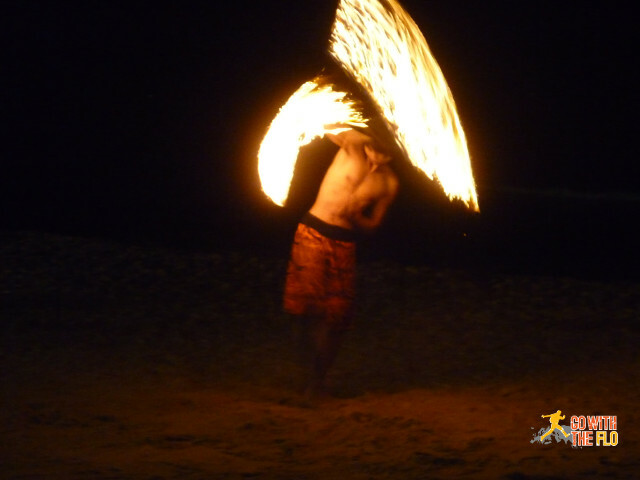 Paya actually has an impressive and entertaining fire show on the beach around 7.30pm that is worth checking out. As I’ve previously written, Mae Ram Phueng is very quiet and there is not a whole lot to do. 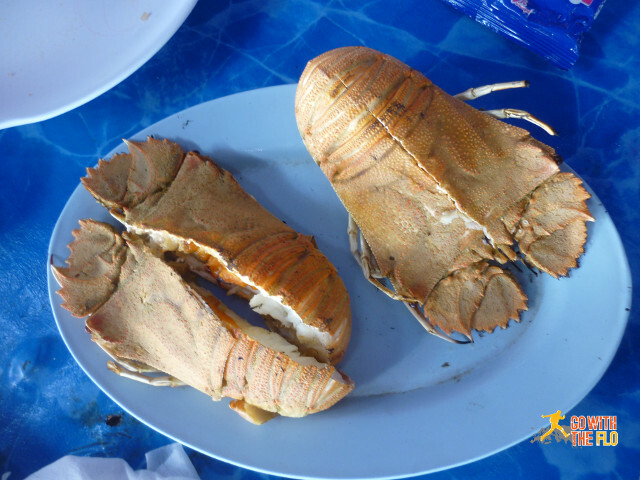 But eating Seafood all day long is certainly a pastime that one should not miss.